Using Twitter as his platform to attack the government, as he has been doing with clockwork regularity lately, he also used the hashtag BasEkAurSaal , a reference to the government being left with one year of its term. 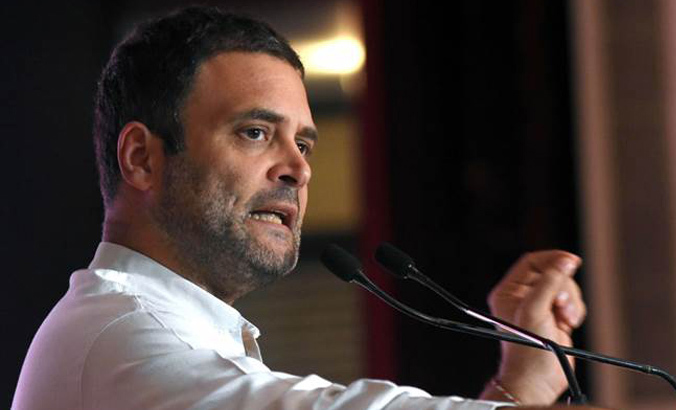 New Delhi: Congress president Rahul Gandhi today targeted Prime Minister Narendra Modi again, going into rhyme over the series of leaks, including CBSE board papers, to say that the "chowkidar" was weak. How many leaks? Data leak! Aadhar leak! SSC Exam leak! Election date leak! CBSE papers leak! There is a leak in everything, the 'chowkidar' is weak, Gandhi said in a tweet that was in both Hindi and English.